True coffee enthusiasts know that there are many different ways to brew a cup of coffee. For people who like their coffee strong, they prefer using the stovetop espresso maker. 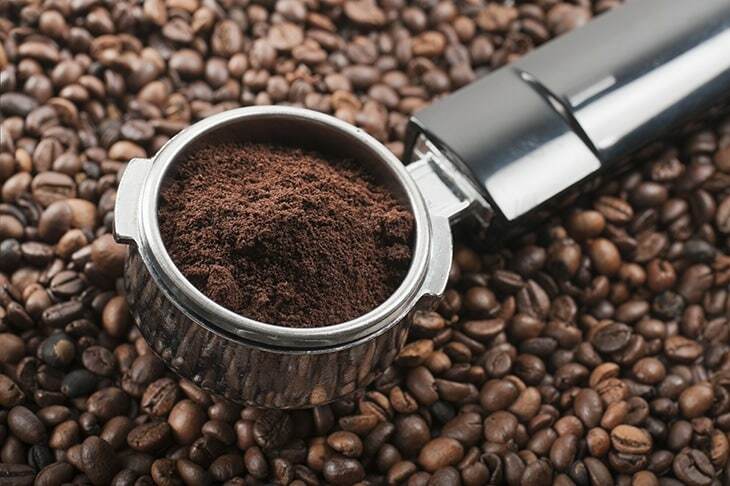 It is a classic and a fairly simple way of brewing rich and flavorful coffee. But with so many options in the market, which one is the best stovetop espresso maker? Let’s have a look at a few top options in this article. Stovetop Espresso Maker, also known as Moka Pot, is a small and portable coffee maker. It is considered to be one of the simplest yet most effective methods to make a strong and rich cup of coffee. The process of brewing coffee using a stovetop espresso maker is simple. No complicated machinery required, just the laws of physics. A stovetop espresso maker consists of three basic parts. The bottom chamber is for water, the middle part is the filter funnel, and the top chamber for the finished product. As soon as you have filled the bottom chamber with water and the filter funnel with ground coffee, you can put the espresso maker on the stove. As water begins to heat up and boil, it transforms into steam and builds up pressure in the bottom chamber. This pressure pushes water up through the coffee grounds, and into the top chamber. 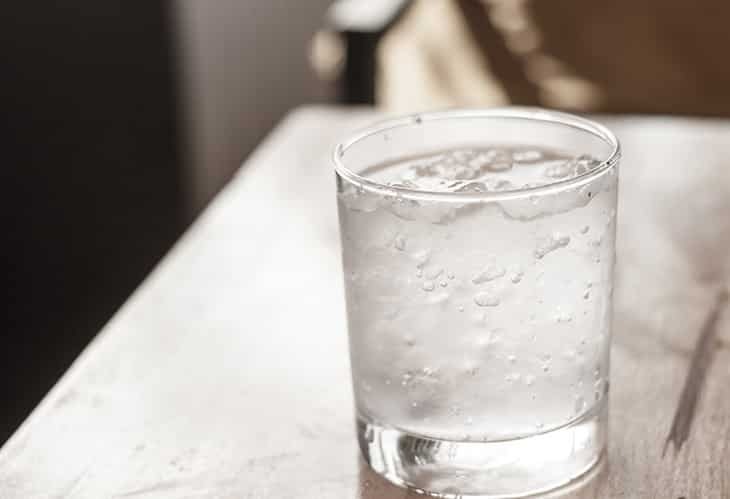 When you hear a sputtering sound, this may be a signal that the last few of the water is already making its way through the top chamber. Your hot espresso is now ready to be served. Stovetop Espresso makers are made from either aluminum or stainless steel. It is important to look into these two, before choosing which material better suits your needs and requirements. Aluminum heats up quicker than other metals but it also cools down faster. It is also often cheaper. It is fairly light, even with coffee and water in it. However, some people claim that aluminum seems to affect the taste of their espresso. Perhaps this is explained by the acidic property of coffee, which in the long run can corrode aluminum. 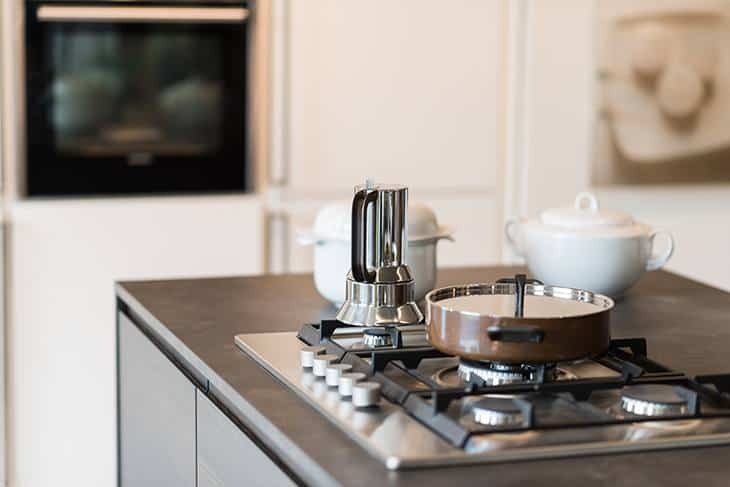 With stainless steel, heating might take a little longer but it also retains heat well, which means that you can store your hot coffee longer. You do not need to worry much about corrosion. It is, however, heavier than aluminum. Although it is a bit more expensive, it is sturdier and more durable. 2. Does it work with an electric stove top and a gas stovetop? Most stovetop espresso makers work only on gas stovetops. There are some, however, that can also be used on electric stovetops. This is an important consideration to keep in mind, especially when you are using an electric stovetop at home. 3. How many cups can it make? Stovetop Espresso Makers come in a variety of sizes. It should be clarified that “cups” here refer to small shots of about 2 ounces, and not regular full cups. Most of the time, a 6-cup size works best for partners. That size is also great for those who normally drink two regular full cups of coffee. Fill the bottom chamber up to the fill line. If your stovetop espresso maker does not have a fill line, make sure that the water does not seep through the filter funnel or go past the steam valve. 2. Use finely ground coffee. It is recommended that you put the coffee beans in the filter funnel first, before assembling and attaching it to the bottom chamber. 3. Do not pack the coffee down. When pressure builds up inside your stovetop espresso maker, coffee will need a little space to expand as it starts to get damp. 4. Double check the outside rim for any spilt coffee grounds and clean if there is any. 5. Assemble the upper chamber, and make sure that it is secured tightly. 6. Heat it on your stovetop, on low to medium heat for an enhanced flavor. Putting it on high heat may result in a bitter taste. Espresso: If you want a strong, rich coffee, just pour the espresso into your cup and enjoy. 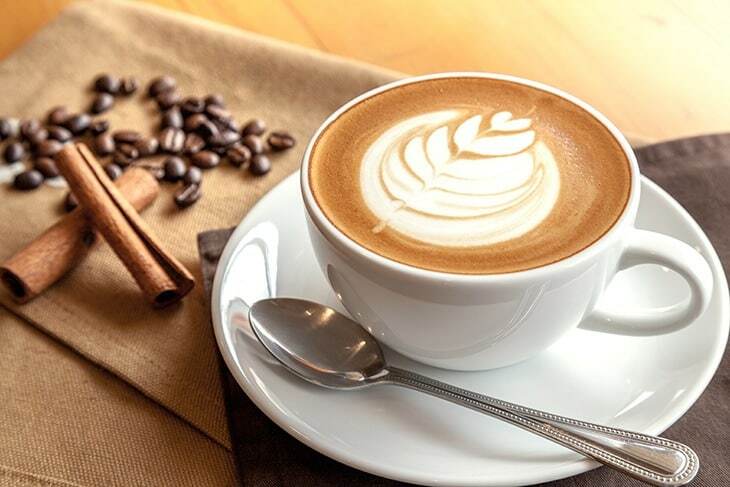 Latte: Pour a shot of espresso into a cup with three-quarters of hot milk. Viola, you have a latte! Mocha: Fill three-quarters of you mug with hot milk and add a teaspoon of cocoa powder. Add espresso into this and you can already enjoy your mocha drink. Americano: Just add water onto a shot of espresso. You may add milk and sugar to taste. 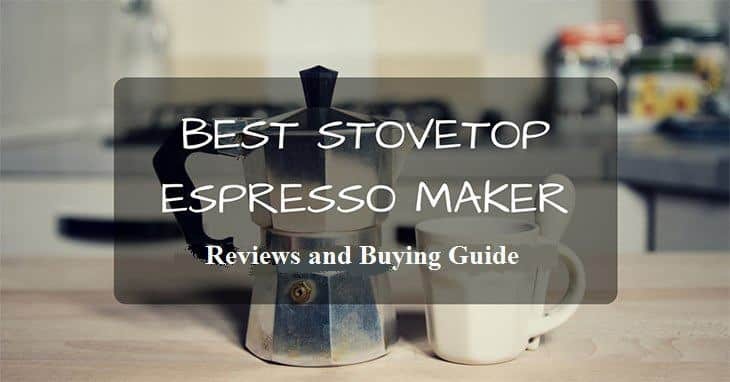 The best stovetop #espresso maker: #Reviews and a buying guide. Are you ready for your morning cup? ***Below, you will find more detailed reviews, but you can also click the links above to see current prices and read customers' reviews on Amazon. This 6-cup stovetop espresso maker is made of aluminum, which enables it to heat up rapidly. Its octagonal shape makes it sturdy, and also evenly distributes the heat inside. It can be used on both gas and electric stovetops. This Bellemain Stovetop Espresso Maker has safety features. It has a stay-cool handle and lid knobs that protect your delicate hands. It also features a safety valve that regulates the internal temperature of your espresso maker. These safety features are great for when you are still groggy in the morning or distracted when making coffee.It can be easily assembled and is machine-washable, very easy to clean and maintain. It has an elegant minimalist Italian design. Bialetti has been one of the biggest names in the manufacturing of housewares. The brand has been making stovetop espresso makers since the 1950’s. This particular model, the Bialetti Moka Express, is a great traditional way of making rich and flavorful espresso.Made of polished aluminum, it heats up easily. It has the capacity of 24 ounces, ideal for two people. With a classic Bialetti octagon shape, it is a charming addition to your kitchen! It should be washed by hand with warm water with minimal soap and should be thoroughly dried first, before reassembled.To achieve an optimum espresso flavor, stir the coffee first to equalize the coffee layers. Another product from Bialetti Moka is the brand that has been manufacturing simple yet elegant stovetop espresso makers for more than 80 years. This particular model, the 6-cup stovetop espresso maker, makes strong and rich espresso in just a few minutes. Heating up is quicker and done more evenly because it is made of polished aluminum. The maker comes in Bialetti’s famous signature octagonal shape.All parts should be hand-washed and thoroughly dried after each use. This will prevent your stovetop espresso maker from oxidation. This set also comes with 3 gaskets and 1 filter. Even if you are new to stovetop espresso, you would find MateoJo Stovetop Espresso Maker easy to use. It comes with clear and detailed instructions that are easy to follow.It is made of aluminum, which heats up rapidly. Because of this feature, you could make delicious espresso in just a few minutes. One maker makes 6 cups of 2 ounces of coffee. 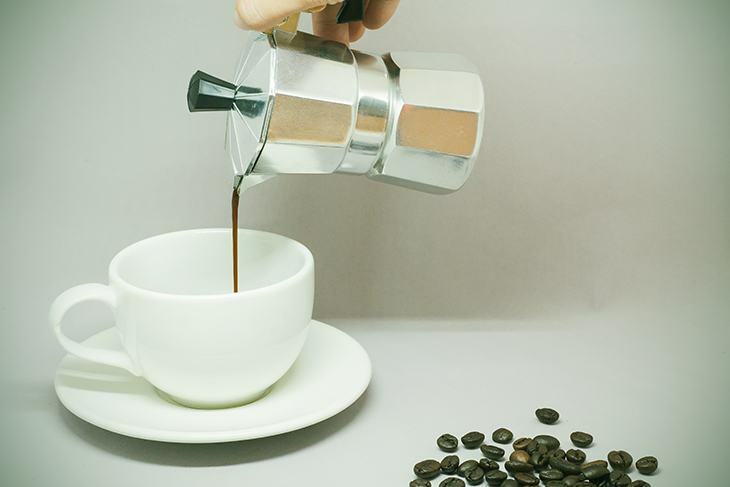 This aluminum stovetop espresso maker produces a stronger and richer brew than filter coffee makers and percolators. Its brewing method only uses the basic laws of Physics to extract more flavor and aroma from the coffee beans. It can make 6 cups, around a total of 9.3 ounces. It works on gas and electric stovetops.It has safety feature that would protect your hands from being in contact with hot surfaces. It also features a safety valve that monitors the internal pressure. This prevents the pressure from reaching a dangerous point. Unlike any typical stovetop espresso maker, this GROSCHE Milano comes in a black finish. Not only does it look more sleek and elegant, but it also prevents coffee stains and marks from becoming too visible. 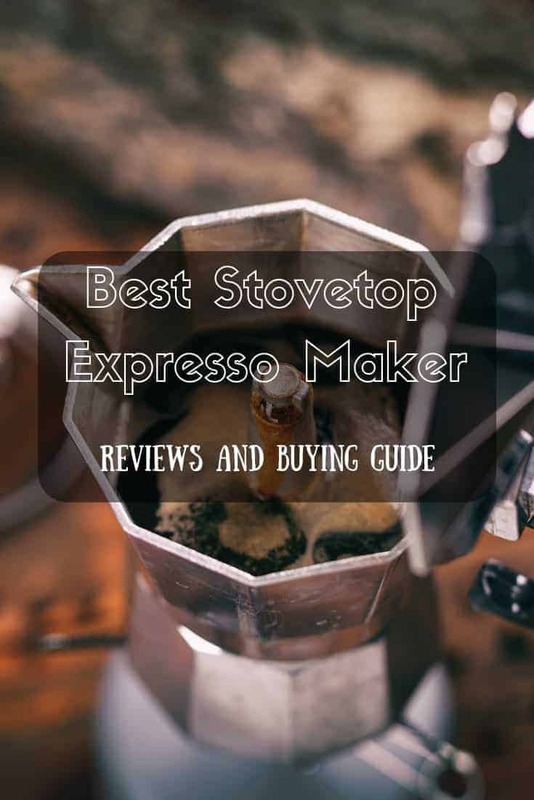 Among the five reviewed top stovetop espresso makers, we believe that GROSCHE Milano Moka Stovetop Espresso Coffee Maker 6-Cup is the winner. It is made of aluminum, which makes it lightweight and allows you to brew in just a few minutes. It also works on both gas and electric stovetops. What I like most about the GROSCHE Milano is its safety features that protect your fingers from touching hot surfaces monitor the internal pressure of the pot. It is also unique compared to other typical stovetop espresso maker, GROSCHE Milano comes in an elegant black finish that “covers up” coffee stains that may accidentally drip off the pot. We hope that you found this article helpful in choosing the best stovetop espresso. We would be glad if you share this to your friends. Feel free to add information and comment below. See you next time!